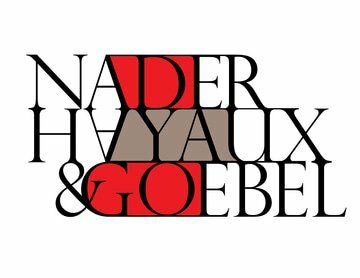 Yves is a partner of the Mexican independent law firm Nader, Hayaux & Goebel, the only Mexican law firm with an office in London. Yves specialises in insurance and reinsurance, both in contentious and non-contentious matters. Yves currently represents the following Mexican affiliate insurance companies on an ongoing basis in transactional work, mergers and acquisitions, product development and general regulatory, corporate governance and compliance-related matters: AXA Seguros Mexico, Assurant Daños Mexico, Assurant Vida Mexico, BUPA Mexico, Cardif Mexico Seguros de Vida, Cardif Mexico Seguros Generales, Dentegra Seguros Dentales, Der Neue Horisont Re, Genworth, Grupo Nacional Provincial, Grupo Sudamericano de Inversiones (Grupo SURA), LandAmerica Mexico (in liquidation), Mapfre Asistencia, MetLife Mexico, Panamerican Life Mexico, Seguros Azteca, Seguros Principal, Skandia, Principal Pensiones, Prudential Seguros Mexico and Zurich Mexico. Yves also represents Mexican and foreign insurance and reinsurance companies, and has experience in arbitration and mediation. Yves is former chairman, vice chairman and board member of the Mexican chapter of AIDA, former vice chairman of CILA, and was responsible for establishing ARIAS Mexico. He is also a member of the presidential council of AIDA, vice president of the transnational legal practice committee of the American Bar Association and honourary member of the Commercial Bar Association. Yves is a co-founder of the Mexican Chamber of Commerce in Great Britain.